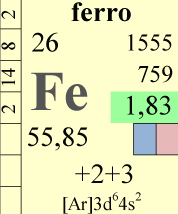 Iron is a fundamental element for both animal and vegetal cells. In the field of reef keeping, iron is often little used and most aquarists think that it concerns only fresh water tanks. In my opinion iron is very important in reef tanks and I have always used iron supplements and noticed benefits from continuous dosage. In natural salt water iron concentration is about 0,1 mg/l but in tanks we can reach higher levels, also 0,5 mg/l. 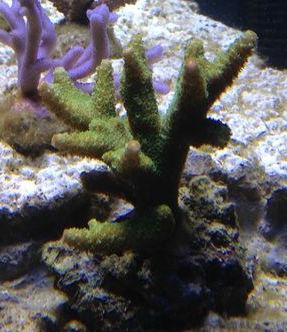 1- Iron is firstly used for enhancing green color on acroporas (A. Nobilis and A. Aspera) and other sps, such as montipora. 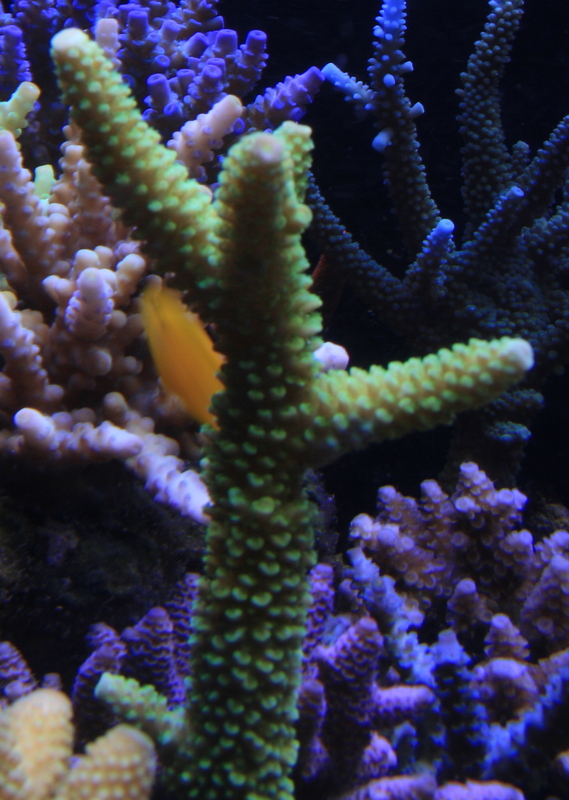 This effect is useful for corals that should have a bright green color but often seems to be faded, usually for overexposure to light. On the other side we must consider that natural yellow corals (as rare yellow millepora) can get darker or turn on green in case of iron excess. It is necessary to find a suitable dosage for each tank in order to obtain good result witch green corals without affecting yellows, very rare and wanted. The reason for which iron enhances green colors is that green chromoproteins need it as a cofactor, in a similar way as heme group in hemoglobin. 2- Iron is an essential element for vegetal cells and is involved in photosynthesis, so it is important for zooxantellae which are at all effect vegetal cells. 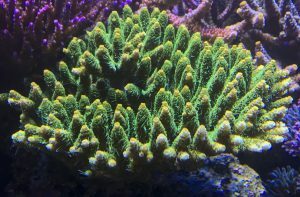 An iron excess brings an uncontrolled proliferation of zooxs leading to coral darkening, the same is for unwanted algae that will get benefice from iron abundance. 3- Iron is a base element for bacterial metabolism which use it in various physiological processes, in particular iron ensures the functionality of enzimes. In bacterial reproduction based systems, considering the huge bacterial mass and division rate, iron is rapidly depleted. Usually in base management systems we don’t need to supply iron, it is sufficient to make regular water changes, using good quality salts. If we consider highly populated tanks or color-based managements, suppling is recommended with dedicated products, usually composed of EDTA-chelate iron. This formulation allows to maintain it in bioavailable form, preventing oxidation. Dosages should be calculated on tank needs, there are several test for determining iron concentration, however there isn’t a standard value, each tank is different. I think that can be useful start with a low dose and rise observing corals reactions.